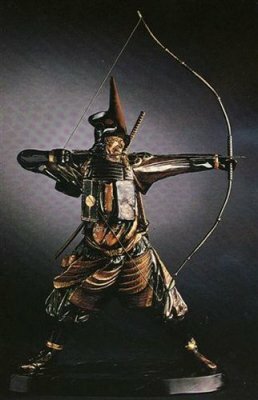 Michael Sutty�s �Samurai Archer� is made of fine bone china and sculpted to exquisite detail. A limited edition of 50, this piece is #10, is in perfect condition, and represents one of the premier Sutty offerings; height 24 inches. Michael Sutty Ltd. of London, England, is no longer in production; therefore, the issue number for this piece will not be filled and is far from being completed. Price is the export price more than a decade ago. No charge for shipping within the Continental USA.